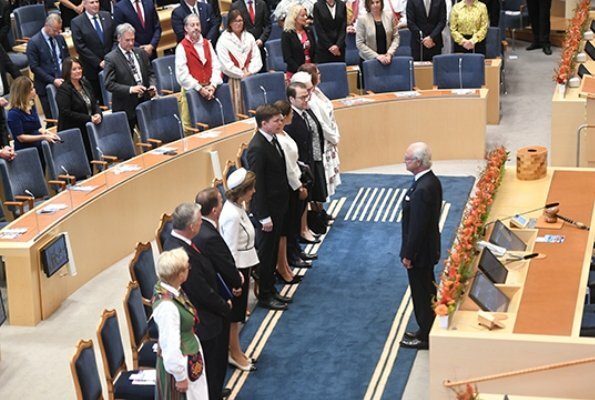 The traditional opening of new working year of the Swedish Parliament (Riksdag) took place on September 25, Tuesday. 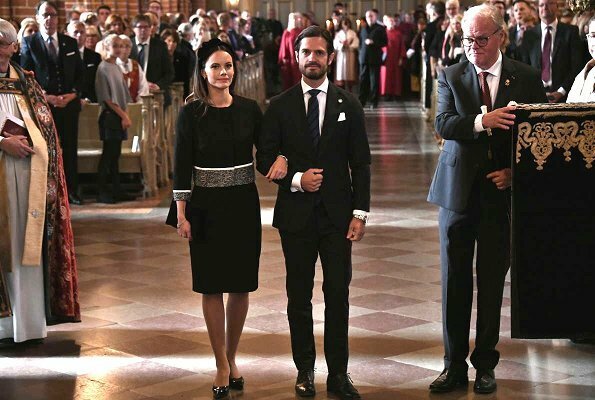 Before the opening of the Parliament, a traditional church service was held at Stockholm Cathedral. 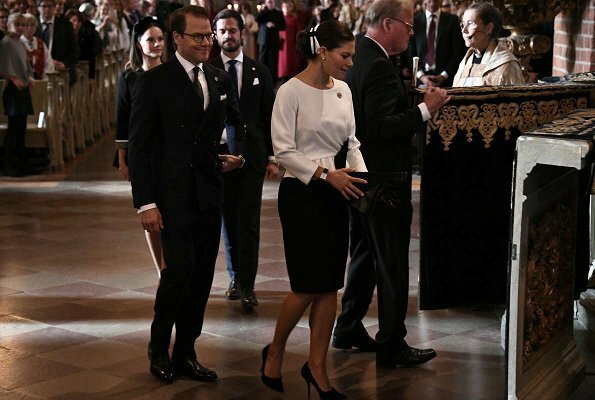 The Royal family, that is, King Carl Gustaf, Queen Silvia, Crown Princess Victoria, Prince Daniel, Prince Carl Philip and Princess Sofia attended the church service at the Cathedral and afterwards, the Royal family attended the opening of 2018 Parliamentary session at Riksdag in Stockholm. Well a nother opening of Parliament 2018. The RF present . Let's see what the new Government brings. I like Q Silvia's suit very elegant. CP Victoria looks very good. Yesterday still NY today the Home front very busy Lady. Pss Sofia's two piece outfit I like a lot,very elegant, not to keen in the headpiece, maybe a hat would have looked nicer. Overall every one of the Ladies looked great, not to forget the men,so did they. All very smart and appropriate. Particularly like Sofia's Hobb's dress. They are all perfectly dressed . The queen looked the best!!! 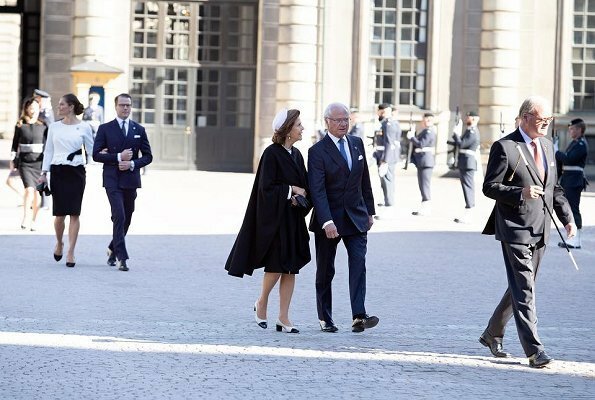 Sophia's outfit clashes with the traditional dress for the royal ladies. AND new again. Is she trying yo catch up to the royal ladies as far as a full closet is concerned? Her hair needs some work. 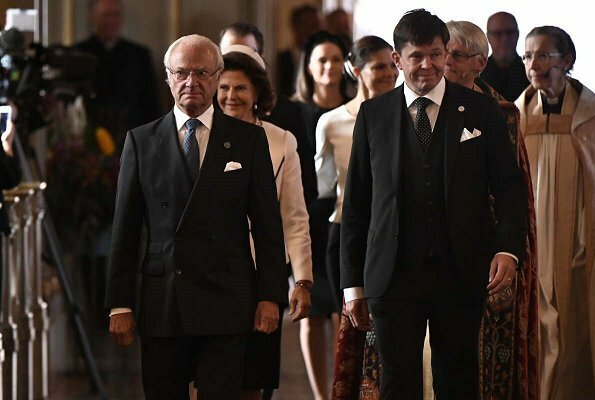 Princess Victoria is looking good, she is in very good shape. 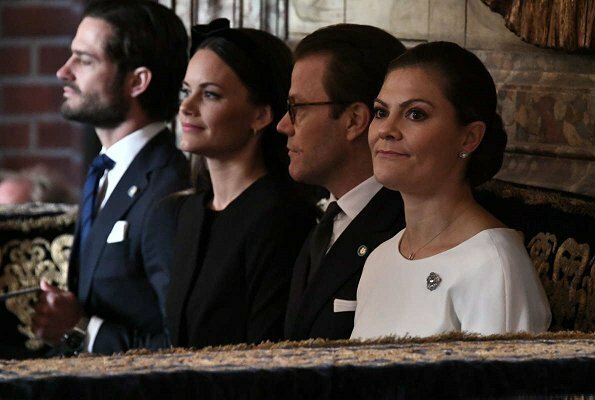 Princess Madeleine is not with them anymore. In my opinion she will profit (oh my English, sorry!) of her/their choice to live privately. I do appreciate adulds as public persons, but with children - very difficult question. 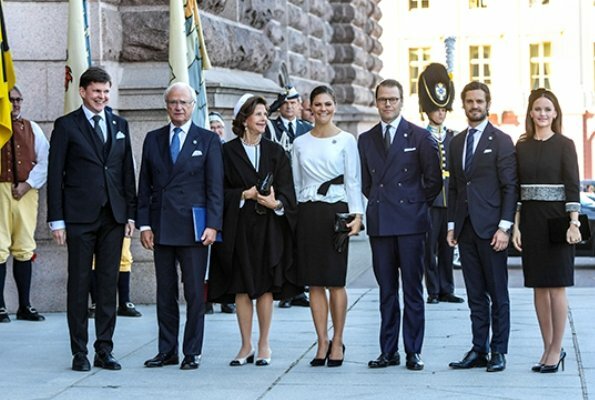 Sofia´s outfid is very pretty. 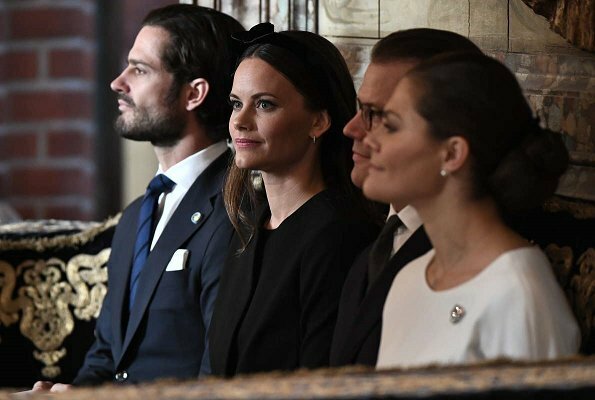 Madeleine chose not to be with them and therefore she should give back the "Princess"-title. 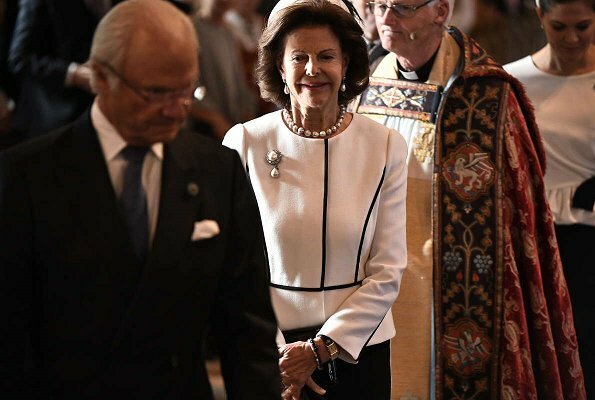 She and her children do not have to do much with Sweden any more. She can live privately but then she should bear the consequences. Love dress code for this event, and everyone looked their best! Nothing but love for them! All the ladies look very good. But I like Victorias outfit most. Me too! I thinks she’s been working out more and it shows! How does Victoria cope with the jet lag? 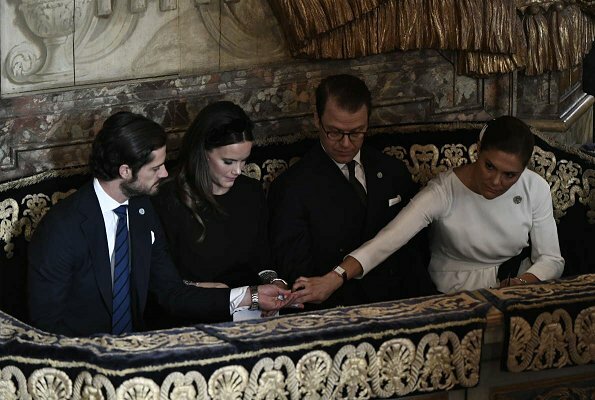 Muy elegantes todas las damas, la reina con un estilo sobrio y elegante, Victoria con un vestido que realza su figura y Sofia con un bonito conjunto. Silvia looks super elegant. My favorite of the royal ladies. Sofia's new suit looks interesting and hopefully she will recycle it again. Perhaps next time with proper hat because I disliked her facinator and hairstyle. i have never liked this peplum dress on Victoria, looks silly with that bow. They all looks good. 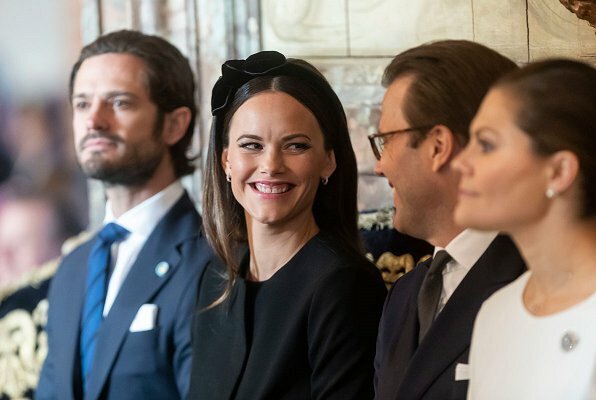 Sofia's dress is very stylish. Victoria looks the best. Nice she is repeting the outfit. Love this outfit. Sofia looks appropriate but the hairstyle looks childish for a woman in her 30s. Oh, wow, Sofia looks lovely here, the hair and everything. They all are looking good. 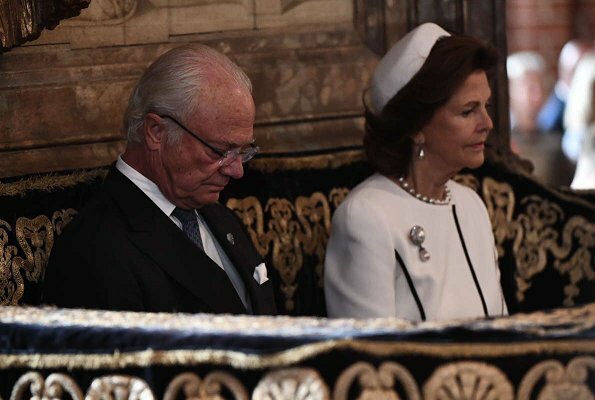 I just wonder what is Madeleine thinking, is she sad because not to be able to attend. Sofia looks beautiful. Victoria needs an updated look. Very plain looking.